enCurve is a is a state of the art body contouring technology that uses apoptosis-inducing radio frequency to effectively target and eliminate fat cells permanently. Working through controlled delivery of energy deep into the adipocytes, enCurve utilizes a specialized frequency (27.12 MHz) to selectively target and heat adipocytes to the optimal temperature to cause denaturation of cells, resulting in their elimination while protecting the epidermis and dermis. The 27.12 MHz frequency is more highly absorbed by adipocytes. As a result, adipocytes are more responsive than the cells in epidermis, dermis, or muscles, making this frequency ideally suited to precisely target the adipocytes. 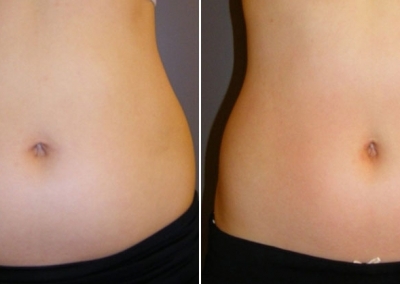 The apoptosis-inducing radiofrequency penetrates deep into the tissue, targeting the adipocytes. The lipocytes vibrate rapidly creating heat. The frictional heat raises the adipocyte temperature to 45 degrees at which point the cells denaturise. This denaturation causes changes in the integrity of the adipocyte membrane, which leads to apoptosis or cell elimination. The body’s natural removal process then takes over, permanently removing the damaged cells. 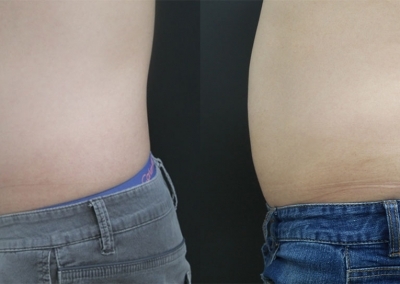 The design of enCurve is what makes it stands out from other radiofrequency devices resulting in more even circumferential reduction. It is designed to easily treat the entire abdomen and waistline simultaneously for more natural results and full coverage as well as treat the thighs and arms. It constantly adjusts energy delivery in order to ensure and maintain homogeneous heating of the tissue. 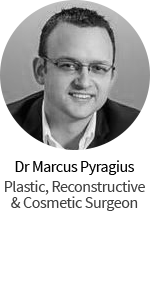 enCurve has abdominal and multiple applicators to allow for treatment options of different areas including the most common ie the abdomen, flanks, thighs and upper arms. It is also able to be customised for each patient to provide a personalised treatment. It has an inbuilt air mode to eliminate sweat on tissue for improved safety and comfort. The enCurve is an easy to operate device. 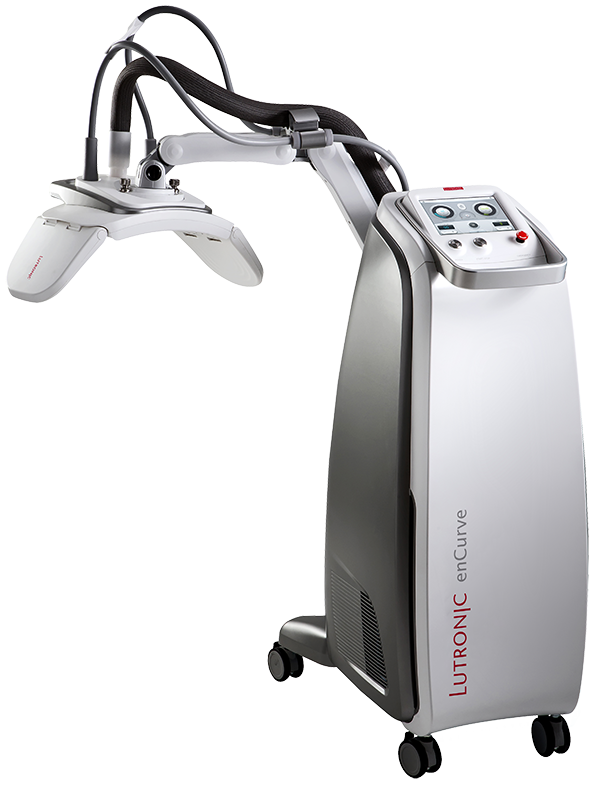 It is is a non-invasive, non-touch treatment with no or little discomfort and no downtime for the patient. The enCurve applicator is placed over the area to be treated, and the device constantly adjusts its energy delivery to ensure a uniform heating of the tissues. 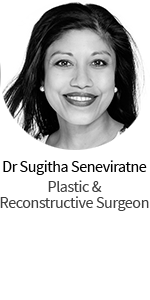 In terms of results, circumferential reduction can range from 2cm to 18cm, with the average being 5cm.